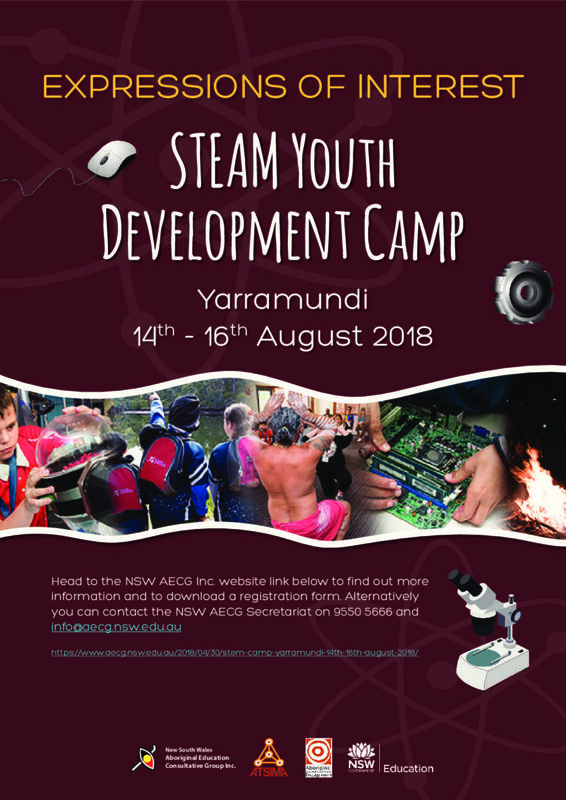 The NSW AECG Inc. together with Aboriginal and Torres Strait Islander Mathematics Alliance (ATSIMA), Aboriginal Education and Community Engagement Unit are proud to again be holding STEAM Youth Development Camps in 2018. Please see below for further information for the upcoming STEAM camp at Yarramundi and to download an expression of interest form. Applications close Tuesday 17th July 2018. More information will be posted here closer to the date of the STEAM Camp. The NSW AECG Inc. have started creating some short storybooks on Lenny and Leena, a brother and sister who travel around NSW visiting family and friends. These resources come as a pack with an A4 size reader, A3 size reader and teaching and learning activities.